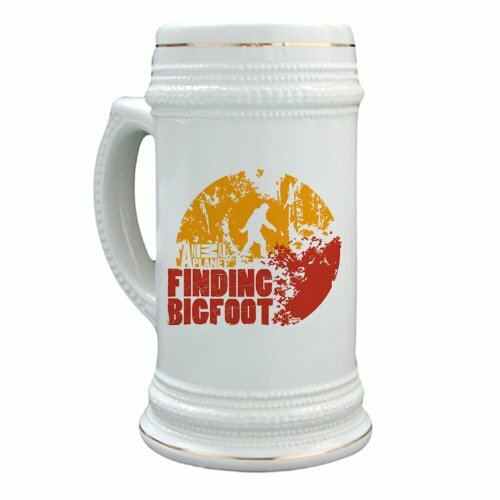 The Bigfoot mugs, cups and glasses will make for a great gift for a friend or even yourself if you are a lover of all things Bigfoot. They come in different sizes, colors, materials and style just to suit your preference/taste. 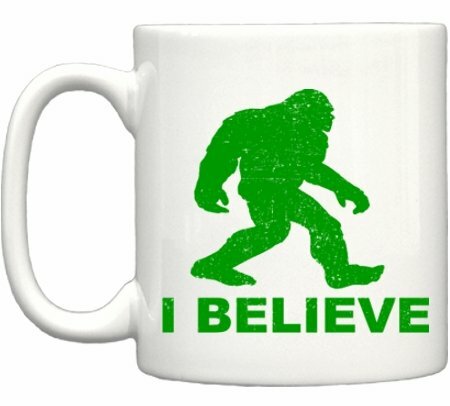 Finding Bigfoot Circle SteinFans believe! Animal PlanetÂ's Finding Bigfoot made up of a fearless team of researchers also known as Bigfoot Field Research Organization (BFRO) treks across North America following up on sightings and gathering compelling evidence in the elusive hunt. Show them youÂ're a fan with squatchin' gear. This 22 oz. ceramic stein with gold trim is something to celebrate in itself! Featuring your favorite show go on and make a toast! Cheers! Dishwasher safe. Not recommended for microwave. 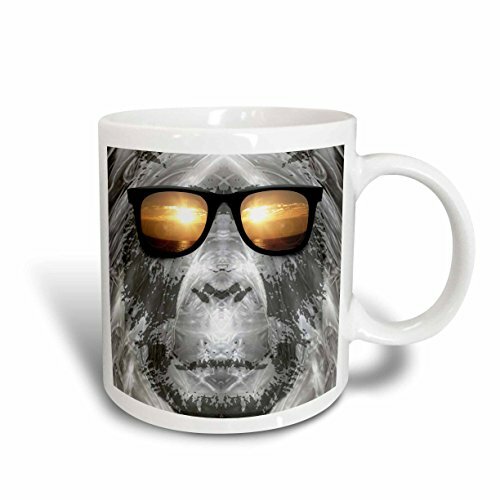 Bigfoot In Shades Bigfoot or Sasquatch is pictured in style wearing sunglasses Mug is available in both 11 oz. and 15 oz. Why drink out of an ordinary mug when a custom printed mug is so much cooler? This ceramic mug is lead free, microwave safe and FDA approved. Image is printed on both sides. Hand washing is recommended. All of our mugs are dishwasher and microwave safe. 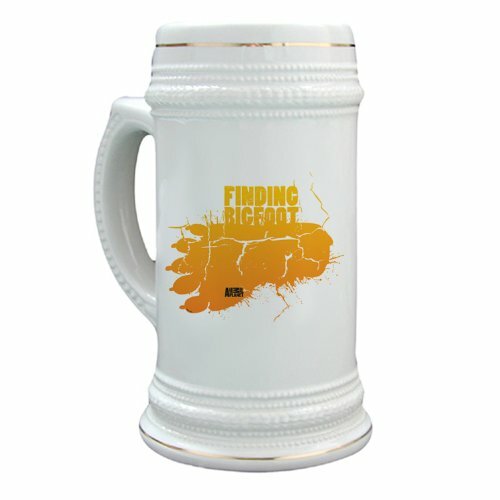 Each design is printed on both sides of an 11 ounce ceramic mug. Our mugs are the perfect size to enjoy your favorite beverage. They feature a large, easy-grip handle and are individually boxed for added shipping protection. Funny Guy Mugs are the perfect gift! Order one today. 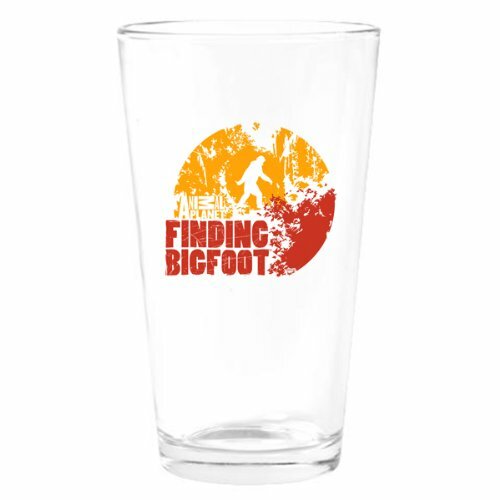 Finding Bigfoot Circle Drinking GlassFans believe! Animal PlanetÂ's Finding Bigfoot made up of a fearless team of researchers also known as Bigfoot Field Research Organization (BFRO) treks across North America following up on sightings and gathering compelling evidence in the elusive hunt. Show them youÂ're a fan with squatchin' gear. This drinking glass is the perfect vessel for your next tasty beverage so forget about those wasteful disposable cups forevermore! A great way to add personality to your glass this glass does the job! Its standard pint size glass stacks easily or complements other glasses well. Image on glass will be translucent not opaque.Dishwasher Safe but to preserve the quality we recommend hand washing. Made of high quality neoprene (wet suit) material this coolie fits standard height 12 oz. 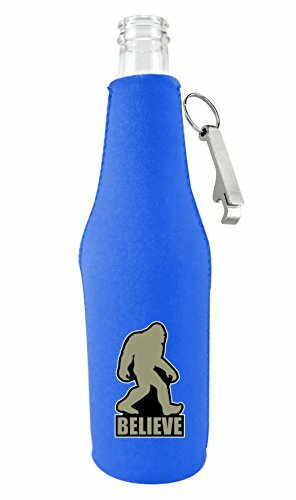 beer bottles (won't fit shorter bottles), has a zipper for easy access and a rubber bottom for stability. Prevents surface damage from condensation. Finding Bigfoot Footprint SteinFans believe! Animal PlanetÂ's Finding Bigfoot made up of a fearless team of researchers also known as Bigfoot Field Research Organization (BFRO) treks across North America following up on sightings and gathering compelling evidence in the elusive hunt. 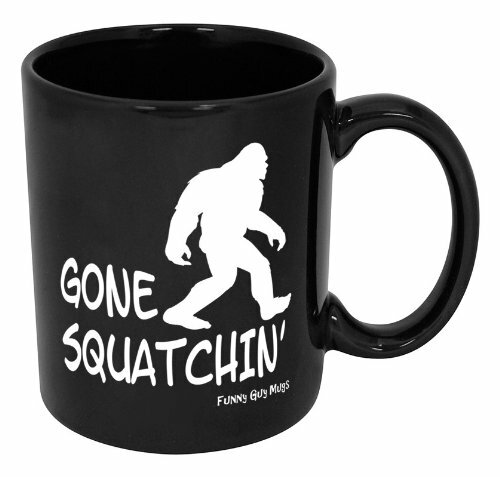 Show them youÂ're a fan with squatchin' gear. This 22 oz. ceramic stein with gold trim is something to celebrate in itself! Featuring your favorite show go on and make a toast! Cheers! Dishwasher safe. Not recommended for microwave.